Burning wood on your Dovre stove is a carbon neutral energy source. What better way to get a full-bodied fire AND reduce your carbon footprint! There are few better feelings in life than relaxing with a glass of red in front of a full-bodied fire from a wood burning stove. An added bonus to that is knowing that you’re reducing your carbon footprint. With Cleanburn technology, Dovre’s range of high efficiency wood burning and multi-fuel stoves let you do just that. By injecting air to key areas of the stove’s firebox, Cleanburn not only increases heat output, but reduces the amount of times you need to refuel, ensuring cleaner, more efficient burning. That means you refuel less and saves you money. Most of the heat output from wood fuel actually comes from igniting the gases produced by the burning wood itself. With air coming in above the fire, the gases are burnt off which gives more heat and less smoke particles going up the chimney. This allows complete burning of the fuel which helps the environment through cleaner burning. Burning wood on your Dovre stove is far better environmentally as the amount of carbon dioxide released into the atmosphere is roughly the same as that absorbed by the tree during growth. This makes for a carbon neutral energy, so using wood as a fuel can increase your part in helping the environment. With lower smoke emissions, these cleaner burning stoves are not only a more environmentally friendly option, they may also have approval for use in urban Smoke Control Areas. 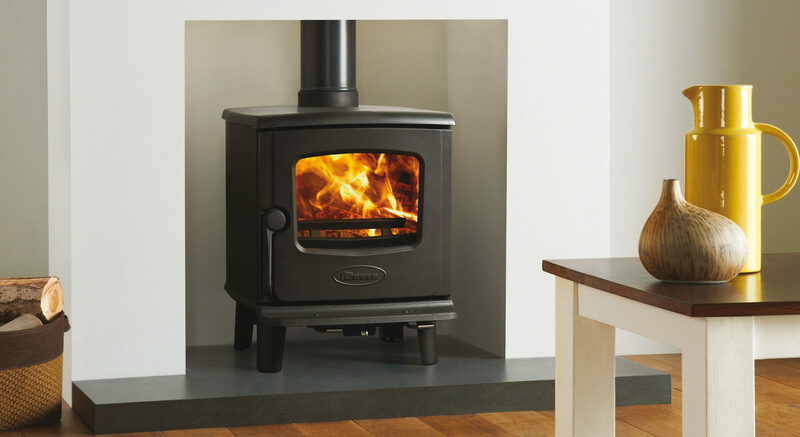 Offered in a range of traditional and contemporary designs, Dovre’s wood burning and multi-fuel stoves are available in a variety of sizes with heat outputs up to 10kW to suit almost any home. For more information of the eco benefits of a Dovre stove, please use our Find A Retailer function to find your nearest.